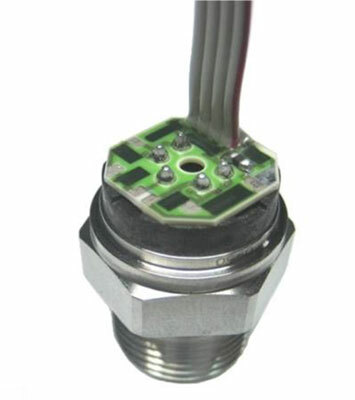 The 85 constant voltage is a small profile, media compatible, piezoresistive silicon pressure sensor packaged in a 316L stainless steel housing. The 85 constant voltage is offered in a weldable package or with a variety of threaded fittings such as 1/4 and 1/8NPT, 1/4BSP as well as custom process fittings. The 85 constant voltage is designed for OEM applications where compatibility with corrosive media is required. The sensing package utilizes silicon oil to transfer pressure from the 316L stainless steel diaphragm to the sensing element. A ceramic substrate is attached to the package that contains laser-trimmed resistors for temperature compensation and offset correction.